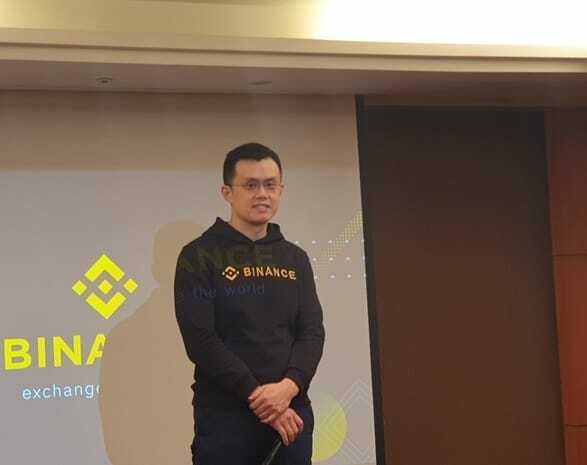 Changpeng Zhao, CEO of Binance, one of the world’s top five cryptocurrency exchanges, said Korea is one of the attractive global markets, but tight control keeps Binance from opening operations in Korea. In a press conference at the Grand Ambassador Hotel in Seoul Wednesday, the CEO said he wants to do business in South Korea, but he has no immediate plan to open a shop here for its tight control. It is difficult to open a bank account in South Korea, he said. He added that he would provide service in South Korea in the future when rules are relaxed. Binance is now the world’s fifth largest exchange since its debut in June 2017. It took over Trust Wallet to provide cryptocurrency transfer and settlement, Early this year, it set in motion the Launch Pad, a platform for selling cryptocurrencies. Notably, the Launch Pad’s Bit Trend Tokens (BTT) sold in 10 minutes. The Launch Pad specializes in cherrypicking promising blockchain projects and exclusive sell their tokens. Binance will open its business in Singapore. He said Singapore has a high possibility of linking cryptocurrencies to its legal tender, Singapore Dollar. Binance also has operations in Malta, the Jersey Islands in the English Channel and Uganda. The three allows the conversion of cryptocurrencies into their legal tenders. The CEO said Biance would launch its decentralized exchange (DEX). He predicted that it might take time before the DEX becomes mainstream. (This interview is a summarized translation of the Korean language news in the Block Media).